Testing has been an essential part of most medium-to-large projects, hence, it is important that every code change to our main branches triggers a full execution of test suite, so as to ensure that the change we made does not break any other test cases. This entire process is what we call Continuous Integration (CI). It is to validate the correctness of code changes and to quickly identify integration errors. After receiving a green light from CI, the next step is to ensure delivery of the new software that consists of new features and/or bug fixes. This is what we call Continuous Delivery. As the test suite was already taken care of by CI, here we run scripts to sign certificates (in Xcode/iOS contexts), and perform archives with third-party tool like FastLane to trigger a deployable software that can be sent to users’ emails for immediate testing. 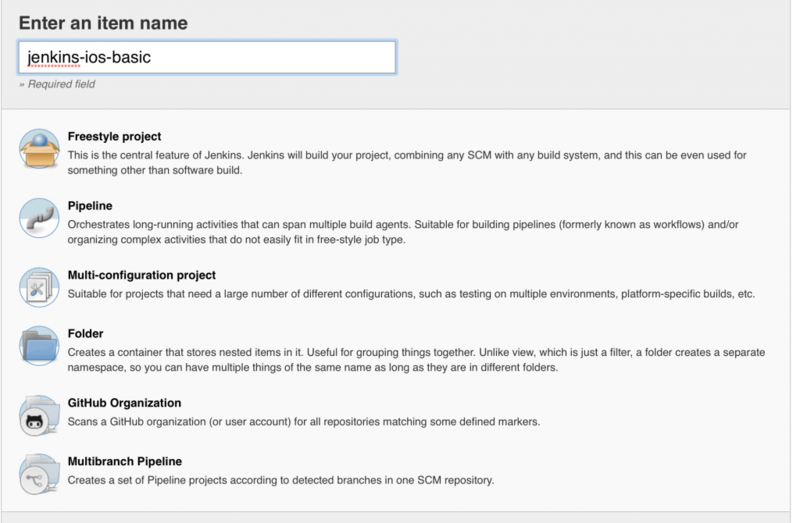 Jenkins provides us seamless ways to set up a CI/CD environment for almost any combination of code languages and source code repositories using pipelines. It is an open source automation server which can be used to automate tasks related to building, testing, and delivering or deploying software. It is also an essential tool that aid the DevOps teams, which is getting more popular nowadays due to the increasing amount of projects we manage at a given period, to ensure their high quality deliverables. Jenkins has plugins that integrates with third-party source-controllers like Github and BitBucket. FastLane is a Ruby-written CD tool for releasing mobile apps (iOS/Android), eliminating tedious tasks for you. 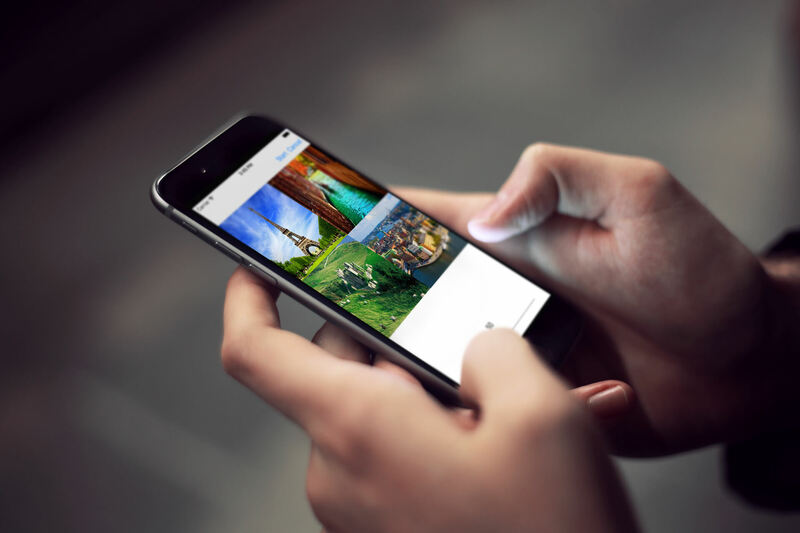 Due to its earlier development for the iOS ecosystem, we can see more functionalities made available to iOS than Android. Note: If you are new to Fastlance, you can also check out our tutorial on Fastlane. Some basic knowledge in building iOS projects. Some Unit-Testing knowledge with Quick & Nimble in Swift. A mac machine to follow this tutorial. A developer account to generate certificates. How to set up Jenkins 2.121.3 (Java 8). How to set up Fastlane. How to manage your CI with Jenkins + Github. How to manage your CD with Jenkins + Github + Fastlane. 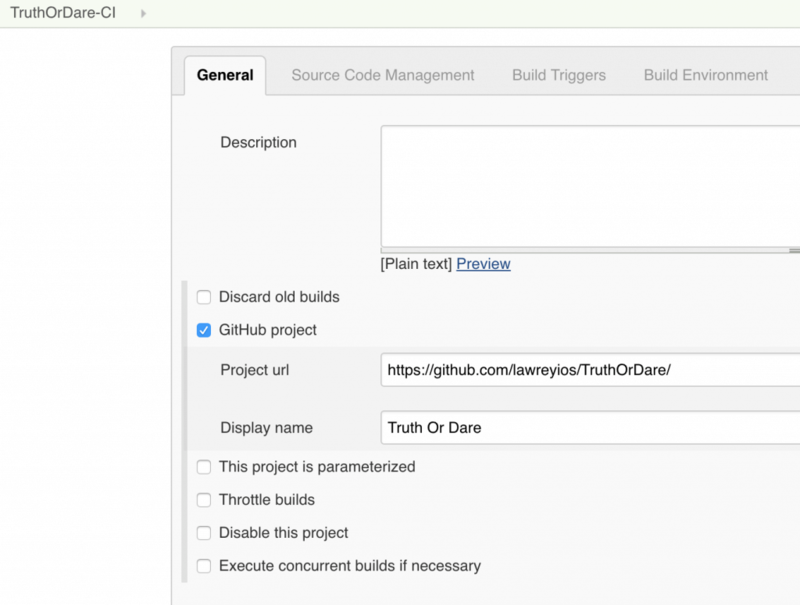 How to set up CI/CD for your project. 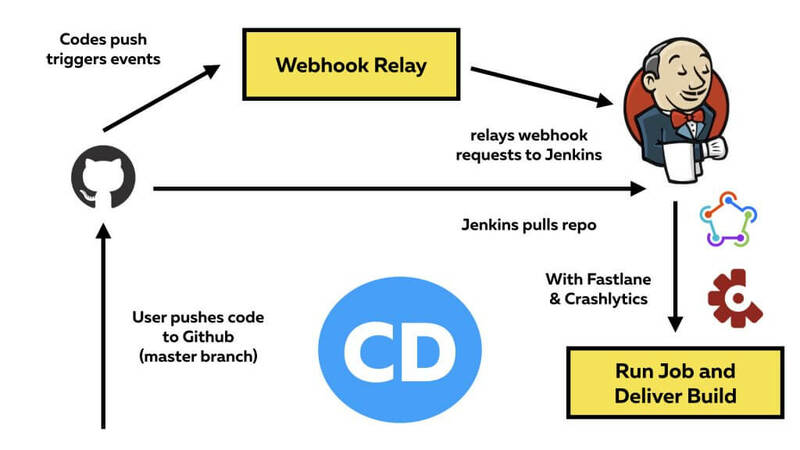 How to use Webhook Relay to hook Github with Jenkins. 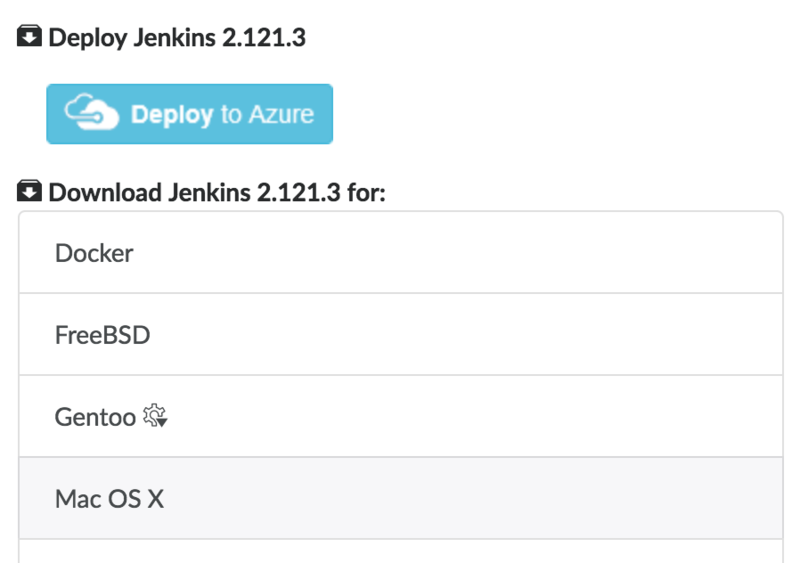 Let’s start off by downloading Jenkins on the machine you would like to host CI/CD. I personally prefer the Long-term Support (LTS) as a starter. 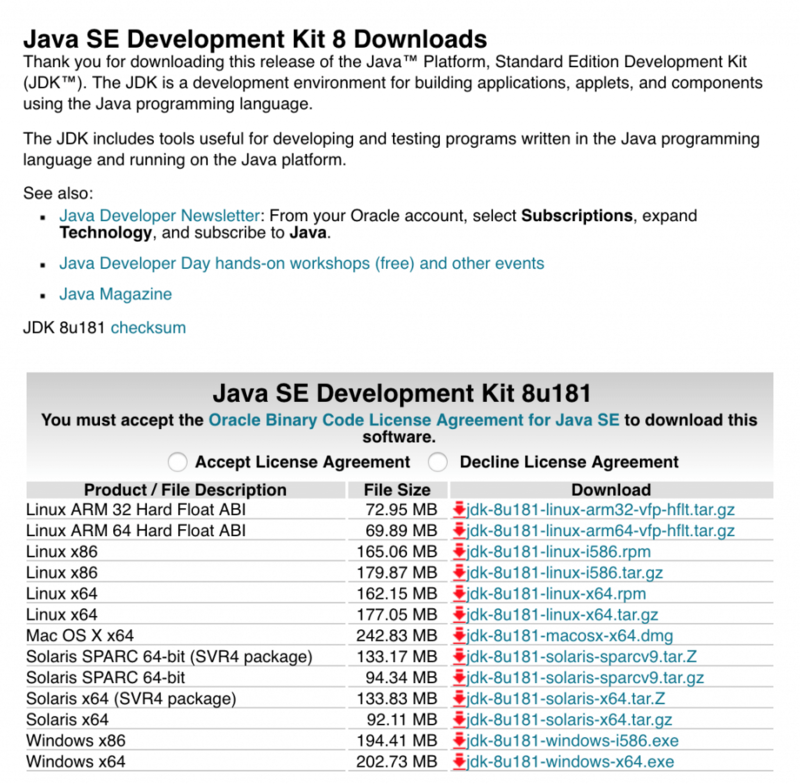 As it is written fully in Java, you will need the appropriate version of Java to launch the .war file later on. Hence, I will need to change to the supported version. You could download it here. Viola! You now have your jenkins running on localhost:8080! 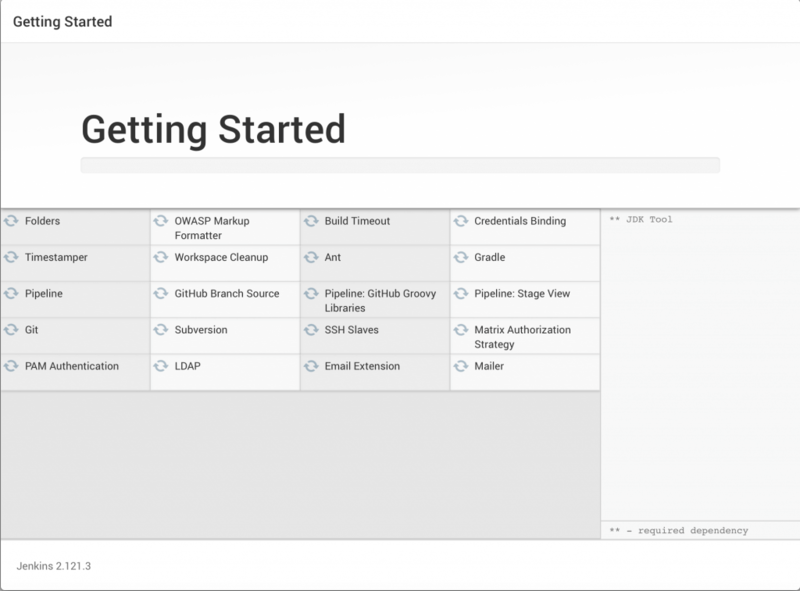 You should be greeted with Jenkins Dashboard and ready to start creating CI/CD jobs for our project! To enable Jenkins receive a notification from Github and run a job, it will require a plugin to be installed in our Jenkins server. Once installed, head over to Configure System and look for Github Server to add Default Github Servers. We dont have to add credentials here since we will be using public repo. Also update your Xcode Builder settings and ensure you have the appropriate plugins. Now, go back to our Jenkins Main Dashboard and create 2 new jobs. We will change our Branch Specifier here from */master to */develop. We will run CI for every change made to develop branch. We will run CD for all CI change(s) made to master branch. If we made multiple code changes to develop branch, we do not want to generate a build for each code change. Most of the time a feature consists of multiple code changes (except bug fixes). Once all these code changes have their CI passed, we will merge them into master where it will run CD and push a build to your stated emails. Next we will toggle on GitHub hook trigger for GITScm polling. This is the main switch that allows Jenkins to respond to webhook where it identifies which repo is changed and then run jobs. As mentioned, we will now set up our webhook by following this installation steps. Once you see the following message, this means your webhook relay succeeded! Woohoo! You deserve a pat on your back for coming this far! Paste this url in a notepad or something, you will need it soon. Now add this webhook into Jenkins. For simplicity, I will be providing a sample project here call Truth or Dare. I encourage you to create a new public repository yourself and push this code to a repo of your choice to follow this tutorial closely. This project integrates with Quick & Nimble using Carthage to run unit tests as part of CI’s process to ensure test suite always passes before a merge can be done. So go ahead and push this to Github. As we are using Carthage, we will need to add carthage update command in Jenkins to build the folder required in Jenkins. So go ahead and add this command as another build step in both Jenkins jobs. 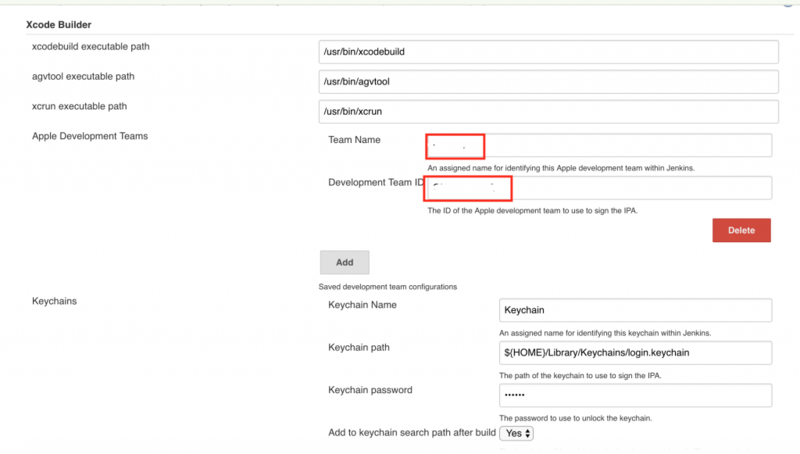 Do remember to set up your own App ID in your Apple Developer Portal. Generate the certificates so our Jenkins jobs can build successfully. Now grab the webhook relay url you generated just now, which looks something like https://my.webhookrelay.com/v1/webhooks/6edf55c7-e774-46f8-a058-f4d9c527a6a7, and paste it in your repo’s webhook section. That’s it! The agent is running and forwarding requests. desc "Description of what the lane does"
notifications: true) # Should this distribution notify your testers via email? Email to receive build from Crashlytics. App API Token from here. 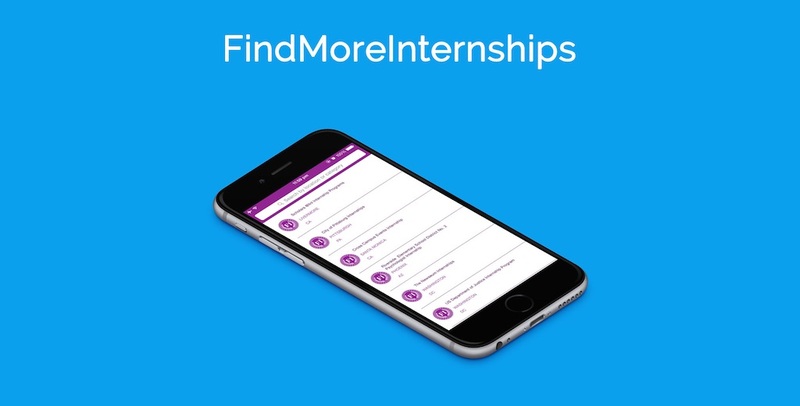 App’s Organisation’s Secret from the same dashboard. fastlane CI to run tests on our Jenkins. fastlane CD to build and push build to Crashlytics. 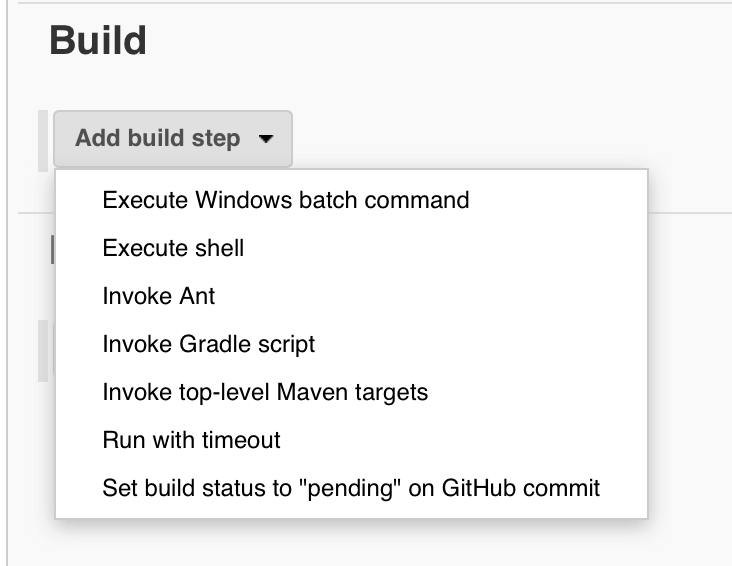 So let’s go back to Jenkins and include this command as our next build step. We set up our CI/CD Jenkins on machine or localhost. We did a Webhook Relay/Forwarding to a public url. We created and pushed our Xcode Project to a public Github repo. We set up the repo’s webhook using the public url. We set up fastlane on our repo. Congratulations! You have completed setting up the automation process! If you encounter some issues as the automation runs, don’t be dismayed, drop a comment below and we can solve it together. The results may be different from machine to machine, but the concept is this! "Have you ever let someone take the blame for something you did?" Do an add: git add TruthOrDare/ViewModel.swift. Do a commit: git commit -m "Add Comment Truths"
Go to Jenkins now. After a few seconds, you should see your CI job running. Take a look at the console log and see if everything goes well. OH NO! The status turns red because our test case failed. The test case results point us to the fact that one of the truth is being edited! You do not want unauthorised code changes! This is one beauty of CI, where it always ensures the correctness of the app especially when the app grows, it’s easy to alter other codes that you have written decades ago. A break in the CI or running test case locally will give you a hint. Try putting back the code and push the code again. You should see the Status turned Blue this time! Let’s add one more truth and one more dare so we could run our CD. git commit -m "Add new Truth and Dare!" Let the CI go through. As our master branch still holds the codebase with only 5 Truths & Dares, we need to merge in changes we made from develop. Once changes is applied, CD will start running and viola! You will receive the build at your email! You might need to run it twice if your device is not registered with Crashlytics. You can trigger the build manually by clicking Build Now. 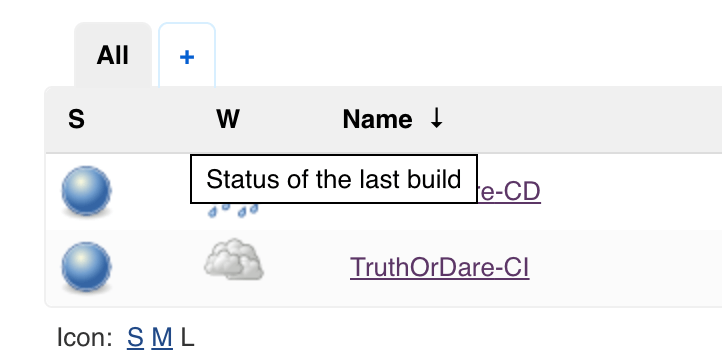 We learnt in theory how CI/CD works from code commit to release of a build. We learnt how to Setup Jenkins. We learnt how to Setup Webhook. 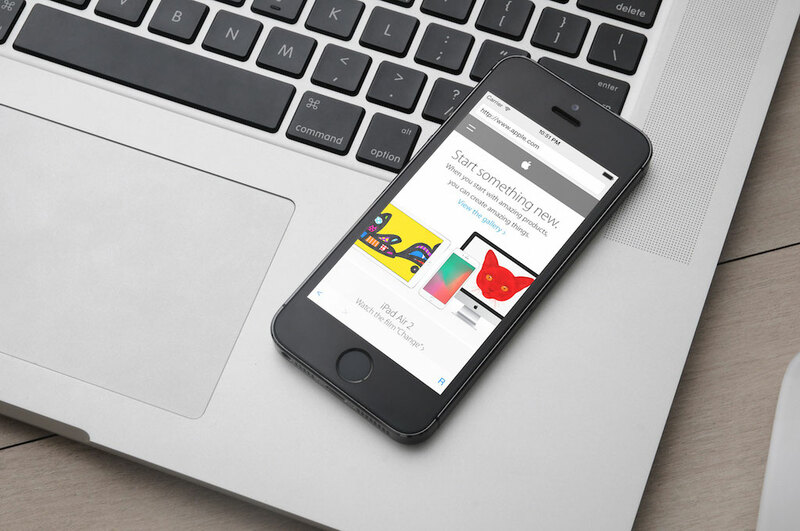 We learnt how to Setup Fastlane & Crashlytics. We learnt how to Integrate and Automate the entire process. We all deserve a pat on our back, one for completing the write up for this tutorial, and one for you to follow through this lengthy process to get your CI/CD up and running! If you have any questions about the tutorial, please leave your comments below and let me know. If you would like me to write follow-up tutorials with more advanced CI/CD techniques like caching Carthage or integrating with Pull Requests, do not hestitate to drop me a comment!